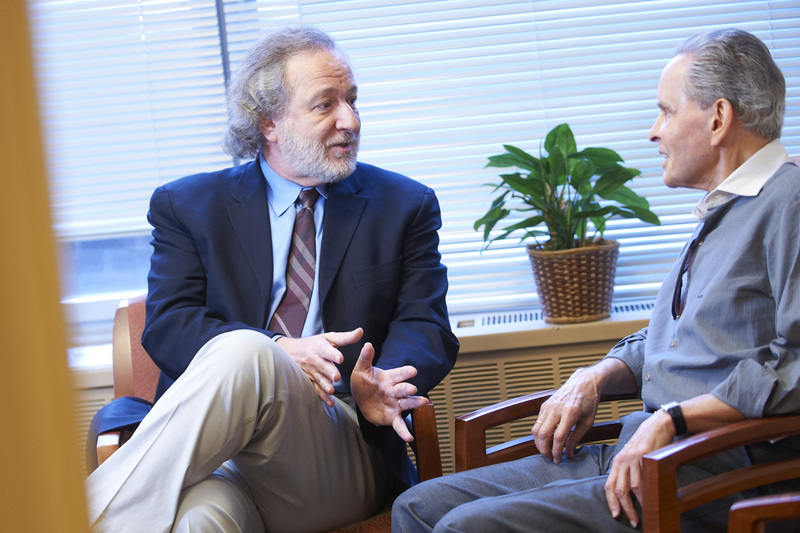 Counselors at Memorial Sloan Kettering offer services for individuals, couples, and families. Our counselors, who include both psychiatrists and psychologists, are also available to patients during their hospital stay. The Counseling Center welcomes all people with cancer, regardless of whether you are receiving care at MSK or at another institution. MSK’s many support groups are open to our patients, their family, and friends. Director of Social Work Penny Damaskos meets with a patient. Our psychiatrists and psychologists can help you cope with cancer. They provide specialized emotional and mental health support for all patients, no matter their stage or diagnosis. We also provide support to family and friends of patients, as well as people receiving care at places other than MSK. You can come to our Counseling Center for support regardless of whether you’re an MSK patient. Parking for the MSK Counseling Center is located at Bristol Garage, 300 East 56th Street, between First and Second Avenues. To receive discounted parking, patients and visitors must have their parking ticket validated at the concierge desk in the Rockefeller Outpatient Pavilion. Shuttle service is provided from Bristol Garage to the Rockefeller Outpatient Pavilion every 20 minutes.